In 2005, the government of Uganda introduced the Prosperity for All Programme, otherwise known as Bonabagaggawale. One of its objectives was to deepen financial inclusion through the promotion of Savings and Credit Cooperative Organisations (SACCOs) especially in rural areas which were less served by commercial banks. Although the new policy of financial inclusion has faced significant challenges in many parts of the country, it has been a resounding success in Western Uganda, particularly in Ankole region which boasts over 300 vibrant SACCOs. 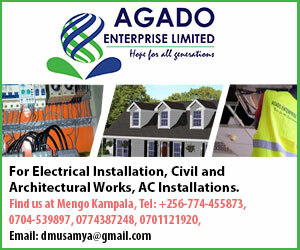 SACCOs in western Uganda have and continue to play a vital role in the lives of ordinary people through innovative products that include school fees loans, small agricultural loans, construction of water tanks and Boda Boda loans. Also, SACCOs in Ankole region have not only helped alleviate household poverty, they have greatly supported small and medium size businesses in the region by enabling greater access to credit compared to commercial banks. 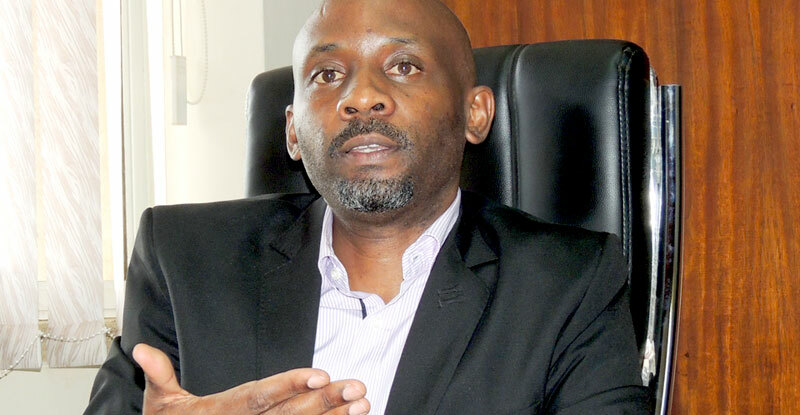 About a dozen of these financial institutions have grown significantly over the past decade that they can favourably compete with commercial banks in terms of customer base as well as their capacity to meet customers needs such as being able to offer relatively sizeable loans of up to Ushs50m. Besides meeting customers needs, the emerging financial institutions are major drivers of job creation in the region by especially empowering property-less young people to access collateral-free credit for them to start businesses by simply using their membership and peer pressure to borrow and service loans from the financial institutions. This is no mention the thousands of people that are directly and indirectly employed by the SACCOs. Butuuro People’s SACCO, based in Nyakabirizi division of Bushenyi municipality is one of the most successful ones in the region. The SACCO currently boasts a loan portfolio of over two billion shillings and a savings portfolio of over Ushs800m. Butuuro’s phenomenal growth has been a tale of humble beginnings using members’ own savings, and using members ingenuity to progress steadily into a vibrant entity, benefiting from the harsh realities of mobilizing capital, customers, facilities and dealing with competition that most businesses face. Perhaps more than anything else, the exposure to competition coupled with minimal support through capacity development especially in the formative stages, appears to have helped to create the momentum that is driving Butuuro and several other successful SACCOs in Ankole region. This is illustrated by the fact that institutions that started on a foundation of government, have all but collapsed. Tumuhimbise Peter, Buturo’s first employee and now its General Manager traces the foundations of the SACCO back in 2007. He told this reporter that the SACCO was started by five like-minded residents of Nyakabirizi division of Bushenyi municipality with a mere inspiration from the government’s then new policy of Prosperity for All of promoting financial inclusion through SACCOs. 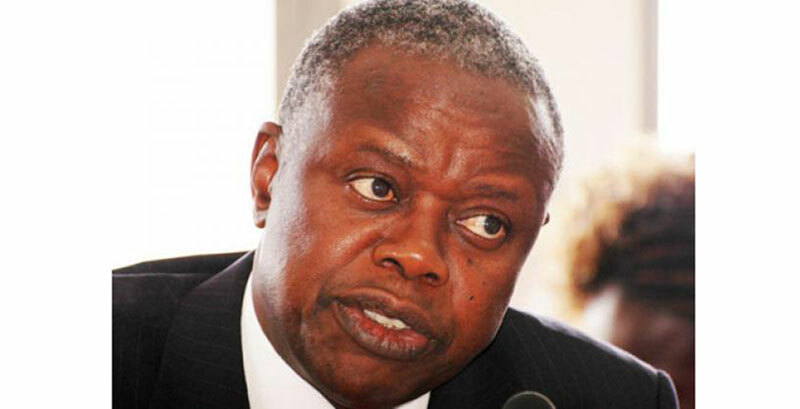 Although he was still a student at the Uganda College of Commerce in Kabale, the founders tapped him to head the nascent institution as its General Manager. The term almost meant nothing as he was the only staff. The founders managed to raise core capital of just one million which they gave to Tumuhimbise to use for lending, as they mounted an aggressive mobilisation campaign to recruit members whom they expected not only to borrow but also to contribute membership fees and savings that would act as the principle sources of loan funds to the members. The start of Butuuro’s journey was characterised by rough patches of high pessimism from the members. As he recalls, the founders would hold a meeting to which over 1000 people would turn up but only a handful would accept to become members. Cases of fraud and failure by similar membership-based financial institutions had soured people’s taste for SACCOs. The collapse, particularly of Bushenyi People’s SACCO a year before, coupled by fraud complaints suffered by many people at the hands of one institution known as Caring for Orphans, Widows, and the Elderly (COWE), proved a major obstacle for Butuuro to overcome in convincing people that it was different. “COWE these ends had taken a lot of people’s money. Convincing people that you should bring in money after such losses, was very difficult,” recalls Tumuhimbise. But sheer determination and hope especially on the part of the founders and Tumuhimbise’s one-man staff and his messenger, proved a decisive factor in overcoming the deep-rooted pessimism in the community. 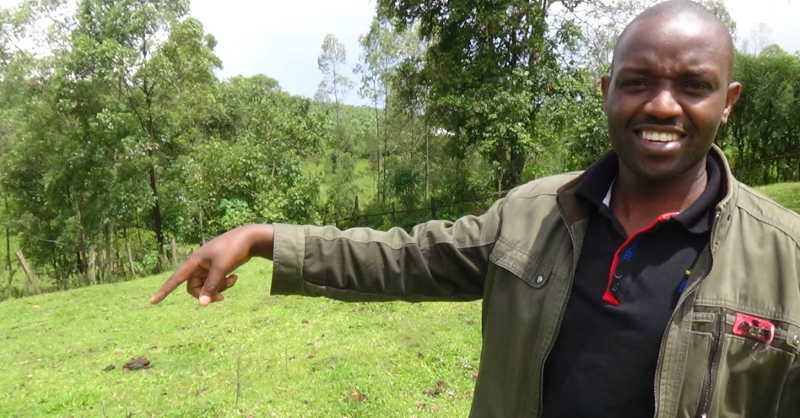 As he recalls, using the one million at his disposal, he started giving out micro loans as small as fifty thousands shillings and used that as an example to preach to his potential members that Butuuro was genuine in its promise of lending, compared to earlier schemes that had fleeced people of their money. This was enhanced by effective due diligence supervision of the borrower and if he was convinced by the borrowers credit worthiness, timely dispersal of the loan. Although SACCOs are legally supposed to be member owned and member governed financial cooperatives for the benefit of the members, Tumuhimbise and his bosses were awaken to the fact that people were attracted to SACCOs as sources of credit than as a vehicle for savings mobilisation. As a way to expand their capital base, the members organised an auction as part of a fundraising drive at which they brought items such as cows, matooke and chicken and several other small items for selling to raise capital. Tumuhimbise recalls that among the items that were contributed for the auction included two cows that was brought two people; Mulindwa Alaban and Mpora Eduan. Members were promised that the proceeds of their auctioned items would be converted into shares. The fundraising was further boosted by the official launch and very strong words of encouragement the then area Member of Parliament and also the State Minister of Health Dr. Richard Nduhuura. The Minister’s very positive complements about Butuuro greatly helped to build trust in the community. At the of end of the auction, more than two million shillings was raised that helped to push up the SACCO’s share capital. “It was after that launch and fundraising that I managed to buy a motorcycle, can you imagine! So that whenever I would go to the field, I would have something to ride,” recalls Tumuhimbise who adds that the new injection of capital not only eased his movements but also expanded the amount of money he had at his disposal for lending. It was thanks to the political support from the MP who boosted people’s trust in the SACCO, coupled with easier mobility brought about by the motorcycle, Tumuhimbise launched an aggressive member recruitment exercise. It bore fruits. By 2009, the SACCOs had recruited up to 400 members. Although membership increased, membership subscription and share capital proved insufficient as a sole source funds for lending to members who looked at SACCOs more as a source of credit than as a savings avenue. The creation of the Uganda Micro-Finance Support Centre as part of the framework to provide low-interest loans to SACCOs for on-lending, proved the answer to Butuuro’s rising demand for loans. But Buturo’s application for a Ushs30m loan from MSC proved another tough but enlightening exercise, and later became the SACCO’s turning point. Their move to MSC not only provided badly needed loan capital, it also helped them to build the capacity of staff of the budding SACCO by sharpening their tactics in assessing loan applications, preparation of manuals and different financial policies. In additional to training, MSC donated other essential items like a Safe, filing cabinets and other office equipment. The strengthened institutional capacity also endeared them to other organisations such as Strome Micro-Finance that further restored confidence in the members in the SACCOs sustainability. With their skills sharpened, Butuuro obtained its first loan from MSC worth Ushs30m. The loan marked a turning point for Butuuro because it empowered Tumuhimbise with the resources to start honouring a number of loan applications and thus raised people’s confidence among members that the SACCO was well capitalised. 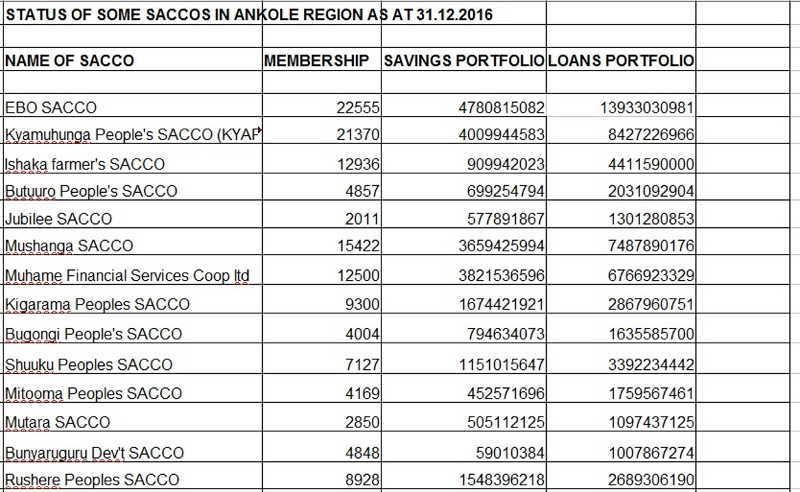 As Tumuhimbise discovered, most people were attracted to joining SACCOs as borrowers than as savers. “Most people join SACCOs to get services. To borrow money. It is during the process of lending money that you get the opportunity to sell shares,” notes Tumuhimbise. Like many other SACCOs, Butuuro adopted the formula of 1:10 share capital to loan value. This means that before someone cannot get a loan unless they own shares worth 10 percent of the loan value. The more strict SACCOs demand a higher ratio but they often face a delicate option of discouraging potential members. “If you don’t have money to lend, you may not be able to get people to buy shares. This is one of the reasons why the most successful SACCOs have a very big share capital. As they lend, they build their share capital,” adds Tumuhimbise. While it sparked the growth of Butuuro, foreign funding has been a fickle issue and one that has killed most SACCOs in Uganda. At the launch of the Prosperity for All campaign in 2006, the government gave five million shillings to over a dozen SACCOs with untrained personnel. 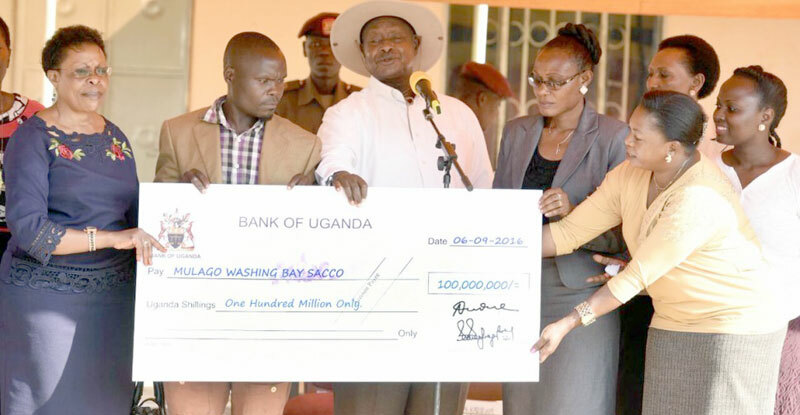 But findings by The Sunrise have revealed that majority of those SACCOs collapsed soon after receiving the money not only because the borrowers considered the money as a reward for voting into power the NRM government but also because the managers of the SACCOs were ill-trained to manage the funds. Technical competence of the staff of a SACCO very often determines whether or not a SACCO can survive donations and foreign funding. Having garnered sufficient members, Butuuro managers faced even more challenges. A number of SACCOs had sprouted all over Bushenyi and were vigorously recruiting members. Jubilee SACCO, belonging to the Church of Uganda, and located in Bushenyi town was surging forward strongly and recruiting members using the Church system. In Ishaka town, another urban municipality in Bushenyi district, there were two very vibrant SACCOs; Kyamuhunga People’s SACCO and Ishaka farmers SACCO. This was not a time to relax for Butuuro. Competition among SACCOs was heating up not only in Bushenyi but also in the greater Ankole region. While most SACCOs expanded geographically by opening up offices in different townships, Butuuro’s leaders thought otherwise. They chose consolidation than expansion. The team sat and evaluated the major reasons behind people’s demand for loans. School fees, burial expenses, ill-health, investing in agriculture and investing in boda bodas ranked among the biggest demands. So they developed loan products with varying interest rates and repayment schedules to suit their customers’ demands. One of the most popular, it turned out, was a simple product known as “Twezikye”. It is not a loan but rather a membership benefit that accrues to every member who dies. “We introduced a proposal and it was accepted by the general assembly that whenever a member dies, each and every member contributes just Ushs500 from their savings towards the burial of their colleague,” he recalls. The first he tried it, he discovered that he would raise over 700,000 as the SACCOs contribution towards the burial of a member. It was unprecedented for a single entity to raise such an amount of money in a lump-sum. Not only did this raise SACCOs profile across Nyakabirizi, it offered Tumuhimbise a platform to market the SACCO at each and every burial ceremony. With such increased publicity, membership soared, and so did the loan requests and share capital. From Twezikye, Butuuro has developed several other products including such as commercial loans, health insurance, loans for construction of water harvesting tanks and many others. As Mzee Ephraim Kekomo, one of the founding members of Butuuro, the SACCO is every bit a part of his life. It helped him educate his children and when they finished school, it has continued to provide him with loans to run a poultry business. Following the harsh drought that ravaged most parts of Uganda last year, Butuuro once again devised a life-changing product in the form of water harvesting tanks to help its members store rain water to be used during the dry spell. Mzee Kekomo was the first beneficiary of the SACCO and is all praise for the SACCO’s contribution for easing his life. Thanks to the useful products and services rendered, Butuuro is now one of the biggest SACCOs in Ankole region with membership of over 5000 members, a savings portfolio of close to Ushs800 million and a loan portfolio worth over 2 billion shillings.